Dirk Kaftan, GMD (General Music Director) at Oper Graz and Chief Conductor of the Graz Philharmonic Orchestra since 2013 and Designate GMD of Oper Bonn and Chief Conductor of the Beethoven Orchestra, combines an intensive dedication and commitment with and for the well known Opera house of Graz, as well as numerous guesting activities which allow him to work with well-known orchestras in Europe and abroad. As GMD of the Augsburg Philharmonic Orchestra Dirk Kaftan conducted various new productions, such as Don Carlos, Turandot, Lulu, Der Ferne Klang, Aufstieg und Fall der Stadt Mahagonny, Tristan und Isolde, Carmen, Ritter Blaubart of Reznicek, Don Giovanni and many more. Furthermore he was responsible for the Symphony-Concert-Series of the Philharmonic Orchestra, which consisted of eight programmes every season, as well as for the Music-Theatre Youth-Programm. Numerous intercultural, unconventional special concerts and different approaches to convey music, result into a stronger relationship between the Graz opera house, the Graz Philharmonic Orchestra, the audience and the whole society. He furthermore, together with his orchestra, aroused nationwide attention, with various CD productions and increased guest appearances. For his work as Opera Conductor, Dirk Kaftan has repeatedly been nominated in the specialist Journal „Opernwelt“ as Conductor of the year. In 2014 he won the ”Karl-Böhm music prize which is awarded by the Austrian government every three years. Dirk Kaftan grew up in Wittlich (Eifel). Since early years music was a part of his life : as trumpetplayer and pianist he was musically versatilely active. In his homeland he received the cultural award of the county Bernkastel-Wittlich in 2012. After finishing his piano studies with Josef Ehses and Tatjana Klimova, he assumed his first position as répétiteur in 1990, at the early age of 18, at the Stadttheater Trier (Local Theatre). He subsequently finished his studies as tonmeister/sound editor at the „Musikhochschule Detmold“ (University of Music) including Conducting with Joachim Harder and Karl-Heinz Bloemecke. Already during his studies, he was répétiteur at Theatre Bielefeld, then second Kapellmeister at the „Städtischen Bühnen Münster“. During this time he acquired his skills as conductor together with a very broad repertoire. 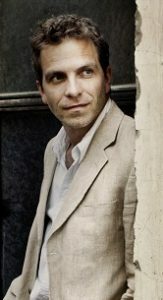 Also during his studies, he won the competition of the Austrian-Hungarian Masterclasses for Music in Budapest in 1995. During the course of his work with numerous youth orchestras, for example the „Studentenorchester Münster“, the Orchestra Academy of the „Mosel-Festwochen“ or the „LJO Saarland“, he remained very interested in the further development of the traditional Concert-Forms, and in experimenting with the various possibilities of communicating through music. His encounter with the „Orquestra Simon Bolívar, of the National Youth Orchestra of Venezuela, during a Concert Tour, had a very big influence in his life. As first Kapellmeister in Bielefeld, Dortmund and Graz, he worked together with numerous important Stage Directors, such as: Alexander Schulin, Stefan Herheim, Marco Arturo Marelli, Peter Konwitschny, Christine Mielitz, Andreas Homoki, Philipp Himmelmann and Tatjana Gürbaca. In 2008 Dirk Kaftan lead the revival of the Opera „Freischütz“ at the „Deutsche Oper Berlin“, thereafter Il Trovatore,Tosca and Die Lustige Witwe at the Semperoper Dresden. He furthermore conducted at the Komischen Oper, Berlin, as well as the theatres in Bonn, Mannheim, Montpellier, Innsbruck, St. Gallen, Freiburg, at Teatro Bellini Catania and Teatro Principal (Palma de Mallorca). After his success with his debut of the „Fledermaus“ in Vienna, 2010, his interpretation and new production of Mozart’s Marriage of Figaro in Autumn 2012, at the „Volksoper“ in Vienna, directed by Marco Arturo Marelli, was enthusiastically accepted by the critics and the audience. As Concert-Conductor, he has performed and worked with various orchestras such as the Stuttgart Philharmonic Orchestra, the State Philharmonic Orchestra Nürnberg, the Symphony Orchestra Catania, the Vienna Concert Association (Wiener Concertverein), the Gran Canaria Philharmonic, the Bremer Philharmonic, the Gürzenich Orchestra Cologne, the Hungarian Symphony Orchestra Budapest, the Philharmonic Südwestfalen, the Jenaer Philharmonic, the State Philharmonic Orchestra Rheinland-Pfalz, the Nordwestdeutschen Philharmonic, the DSO Berlin, the Berlin Symphonic Orchestra and the State Music Ensemble/Chapel Halle. In 2011 he conducted the biggest Classical Open Air Concert in Germany with the State Philharmonic Orchestra Nürnberg, during which a recording was made by the BR (Bavarian Broadcasting Company). In 2013 Dirk Kaftan conducted his Asian-Debut with Swan Lake in Taipei, together with the State Orchestra of Taiwan and in 2014 he was invited with the Graz Philharmonic for two concerts at the Tainan Arts festival in Taiwan. Recent and upcoming engagements have lead him to the Royal Opera in Copenhagen, Hannover State Orchestra, the Bavarian Radio Symphony Orchestra and Frankfurt Opera.